Nixa‘s Opus Tierra is a totemic record, which stands above others in their field. The record screams of melancholy, yet leaves the listener feeling epic and inspired. Not a full three months into 2019 and we have seen an exquisite selection of albums in post-metal, sludge and doom already. Nixa adds to the growing pile of amazing records released this year, returning to the fray with their third record Opus Tierra. Nixa plays a formidable blend of sludge and atmospheric doom, the end result – a much heavier Pallbearer with elements of Baroness mixed in. Their sound flattens you like a pancake throughout the forty-minute playtime of Opus Tierra, the punishing doom guitar tunings causing seismic shifts to occur in your eardrums. The Floridians also cite bands such as Yob and Neurosis as influences. It’s easy to see why, just minutes into the opener and title track “Opus Tierra”. The monumental riffs of Yob can be found after the post-metal introduction, whilst the structure of Neurosis can be heard in the way the song is structured, shifting through atmospheric doom, sludge and post-metal flawlessly. The vocals are absolutely incredible in this track, Valentin Mallström pounding out forlorn yet epic lyrics that charge the atmosphere of the song like a lightning storm. The next song “Seed” is similar in its magnificence to “Opus Tierra”, with powerful vocals teaming up with doom riffs that sound almost like a procession. Considering the band is only three members, the sound they create is huge. One of the key factors is the drums, which create a really dense layer, cymbals adding to that, causing an intense atmosphere from which the band can easily work off of. Post-metal riffs are let loose in the climax of “Seed”, melancholic guitars soar over the top of thundering doom, showing yet again that Nixa can keep a song interesting from start to finish. The lyrical content fits the grandiose nature of the music, and the band have explored rich themes across the album. 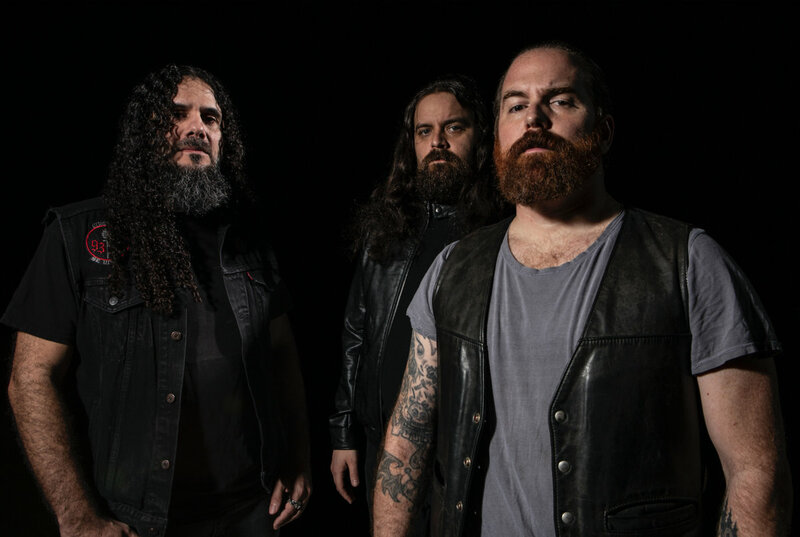 They explore the nature of human beliefs and the impact they have on the world, with the band having this to say about their approach to the album. ‘We wanted to create something new, abandon all old notions of what we ‘thought’ the new album ‘should’ sound like, moving away from any and all restrictive genres. To let all songs flow like lava, corrode set prior beliefs like waves against solid rock and consume the past like a great forest fire’. And it is safe to say they managed this. When you look at bands like Pallbearer, their sound is much more refined, whilst Nixa let loose more. With more fury and thrash in their songs, this will win them fans with the wider metal community, attracting fans of heavy metal as much as fans of sludge. There are so many sections of the album which sound like mountains colliding, but none quite evoke that image as “Destroyer”, which contains that aforementioned fury in abundance. You’re treated to hard thrashing sections before the band slows everything down to a near halt. Chords hang, with brilliant amounts of fuzz and distortion applied. This yields a rich tone, that sounds really well produced to begin with, before bleeding out with a rawer sound at the end. The album is eight tracks long, which is the perfect amount for their sound. Whilst epic, the endless waves of atmospheric doom would wear you down if the album pushed over the hour mark. The band convey their message, and they do it damn well. Whilst it hasn’t won the top spot in my personal album charts, I’m certain many out there will be blown away by the quality of this album. The mix is massive, and like I’ve mentioned, the fact it is just three members is amazing, considering the depth of the music. Make sure to spin Opus Tierra and if you are stateside, to get down to a show. Previous PostObzerv Groove Around with their New Song "Apex Predator"
Next PostMother of Millions - "Artifacts"